Real natural skin care is on a first-name basis with your skin. The highest good for us is your skin being in harmony with itself and the environment. Compare it to a lifelong relationship. Therefore great care and attentiveness are always mandatory. For not all external influences are positive AQUA ORGANIC is designed as a personal guardian angel for your skin with bespoke formula and design. What makes AQUA ORGANIC so pleasant and effective? Biological ingredients with international regionality. In order to reach AQUA ORGANIC’s signature balance all vegetable ingredients, earths and minerals must be absolutely pure. Controlled biological farming is mandatory for all ingredients if possible. The selection as well as the formulas were created in the laboratory in close collaboration with skilled chemists. Ice algae, butcher’s broom, echinacea, sea buckthorn, thyme, valuable rich oils (e.g. shea butter, acai oil, macadamia nut oil, jojoba and many more) as well as highly concentrated hyaluronic acid are the most important components. The high-quality selection will sustainably improve your skin complexion. The effect is already sensible during treatment. Once applied AQUA ORGANIC immediately unfolds it pleasant effect by starting an empathetic conversation with your skin. Pores are opening up, the skin starts tingling and blood circulation is being stimulated. Your skin responds to AQUA ORGANIC with positive signals. Just like in a flirt. A scent for the sentient. A beautiful scent kisses the soul. 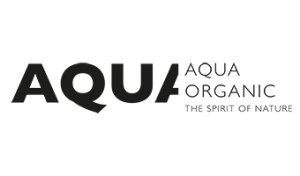 Kind and natural aromas distinguish AQUA ORGANIC from other skin care.